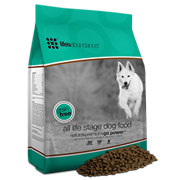 Our recommendation for a great dog food is Life's Abundance. Click on this link to order this great food, and you can set up an "auto ship" so that it will automatically show up at your doorstep. 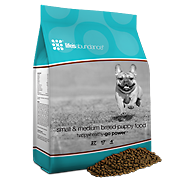 Puppy food and Adult foods are available as well as many other options. Click on link below for more information or to order this great food. Click This Button to order Life's Abundance puppy or adult dog food. "At Life's Abundance, we understand commitment. We’re pledged to providing the best possible products for our customers, to help them live longer, healthier and happier lives. We provide an array of superior quality, safe and effective products that are inspired by nature, informed by science and born of a commitment to improving the health of people, pets and the planet. Welcome to Life's Abundance… we’re paving new roads to wellness, every day."